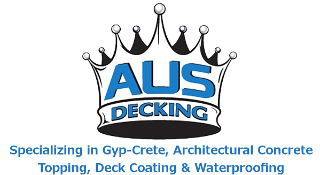 ICC-ES ESR-2097 System - AUS Decking, Inc. The PLI-DEK™ waterproof deck system for plywood substrates has been ICC-ES evaluated since 1980. The system utilizes a 2.5 galvanized metal lath and a polyacrylic emulsion base coat, with a wide variety of finish options. All of the systems carry a One-Hour and Class A Fire Rating. When installed, the system is approximately 3/16 inch thick and less than 3 lbs. per square foot, therefore, alleviating additional framing expenses of typical One-Hour Fire Rated assemblies. The systems have been through extensive ATSM testing, as well as many years of applications in the field, therefore has proven its durability and quality. With proven years of success, low maintenance, and cost effectiveness the Pli-Dek™ System will continue to uphold your reputation as an industry leader.